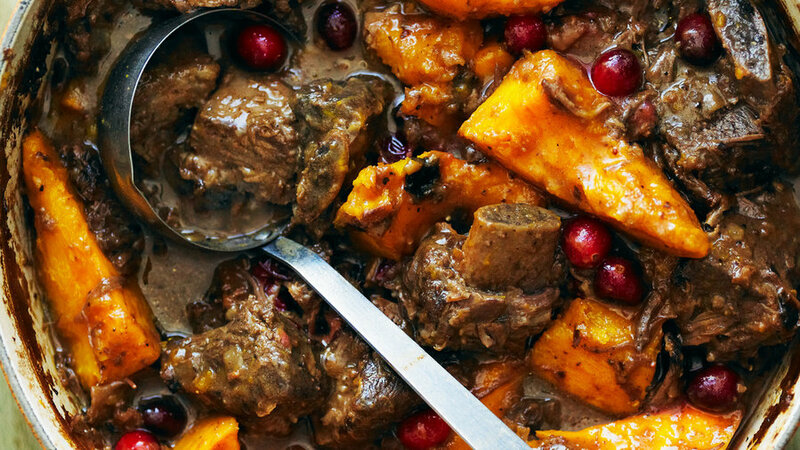 This lamb stew is flavored with Arabic spices. 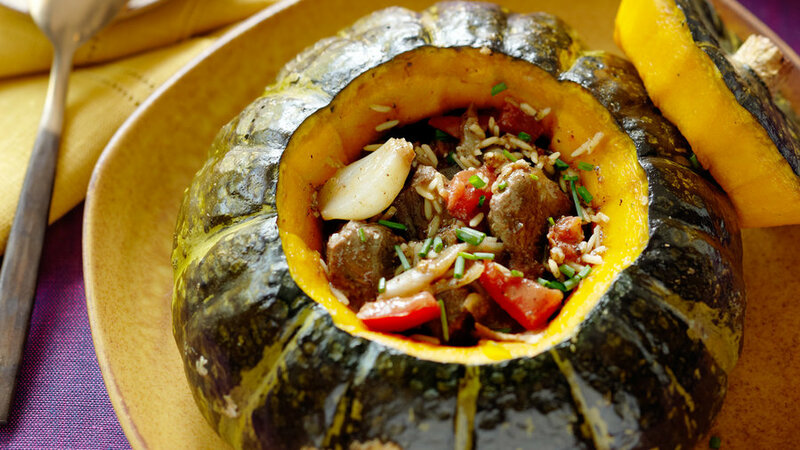 The whole thing is baked in a hollowed out kabocha squash, making for a gorgeous, edible presentation. 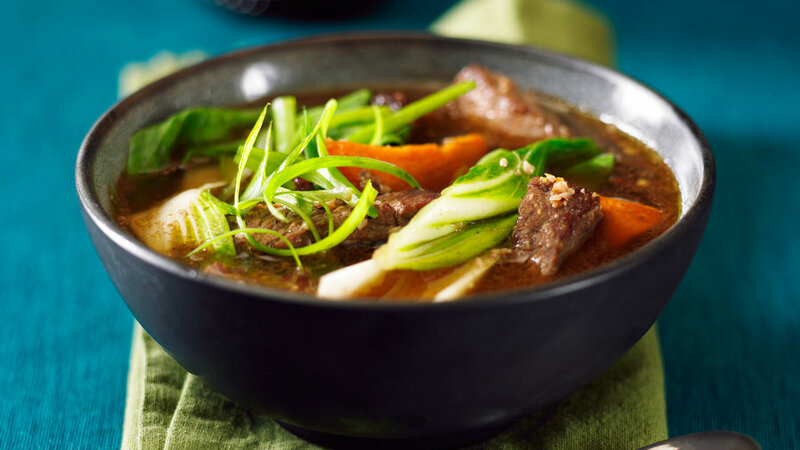 This quick stew is a perfect weeknight meal for a cold winter night. 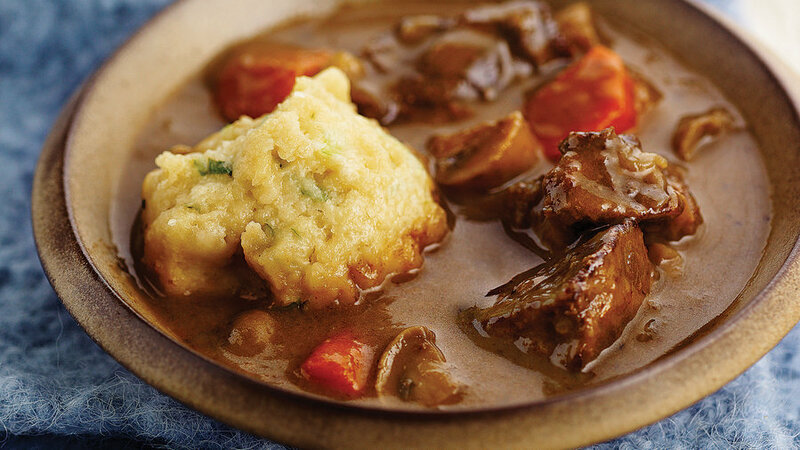 Rich with ale and caramelized onions, this stew provides a thick, hearty base for the fluffy white dumplings that are dropped in at the end of cooking. 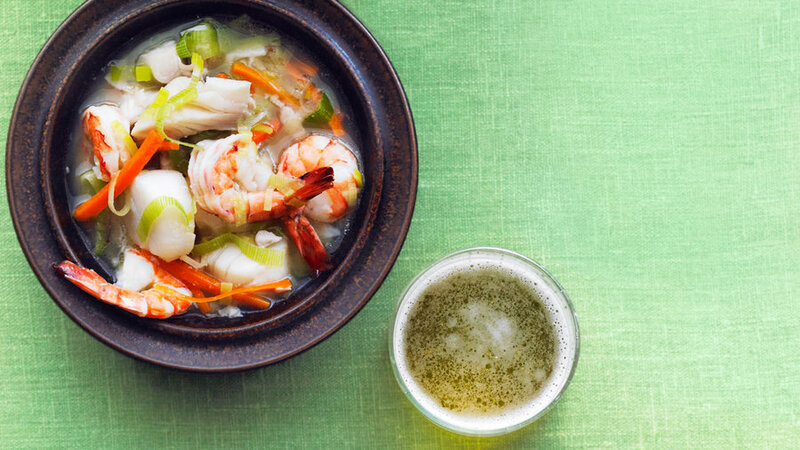 Fragrant with ginger and loaded with seafood, this light yet flavorful stew is best paired with a chilled beer. 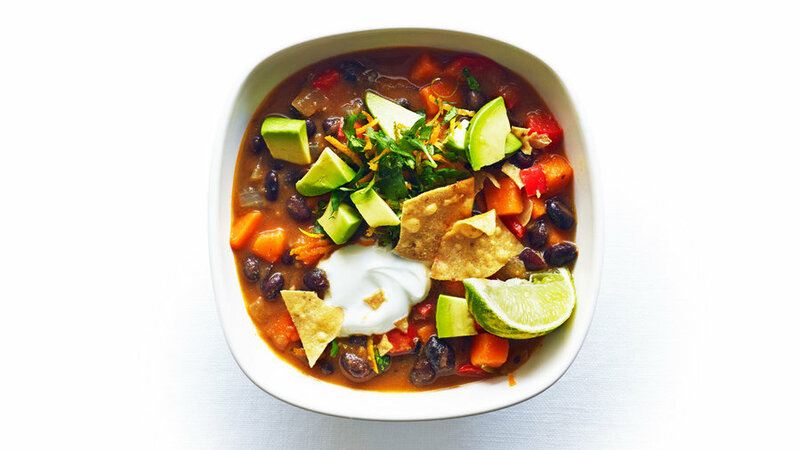 Briny olives, chiles, and bright citrus: That's what you call a pairing challenge. 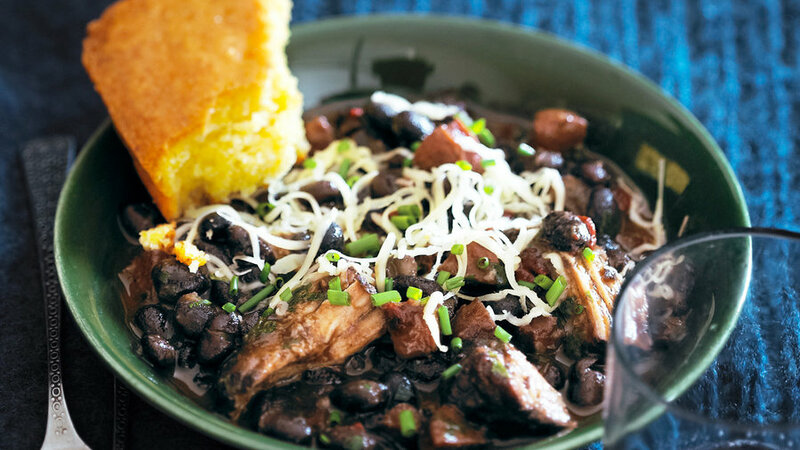 A smooth, strong golden bock brew from the Bay Area can handle this stew, playing up the orange and toning down the chiles. 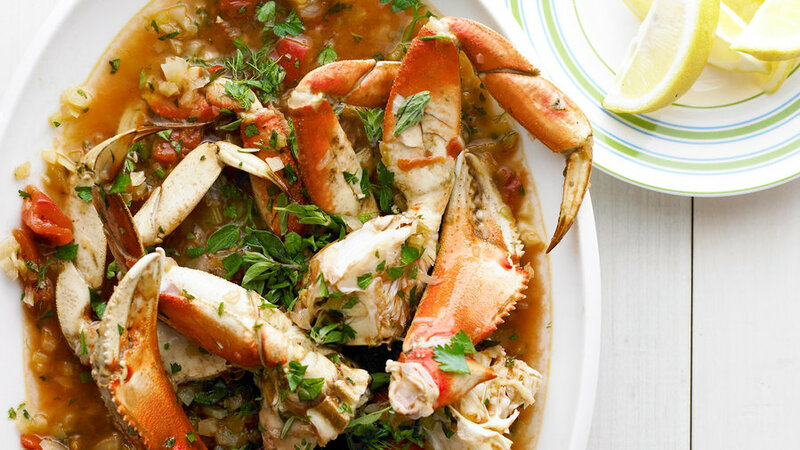 Not up for dealing with live crab after a day at work? 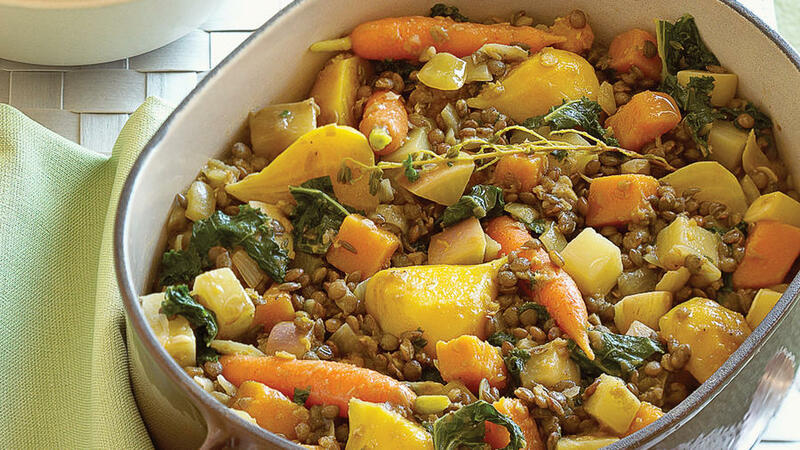 Let the grocery store fish counter or a fish market do the cooking. 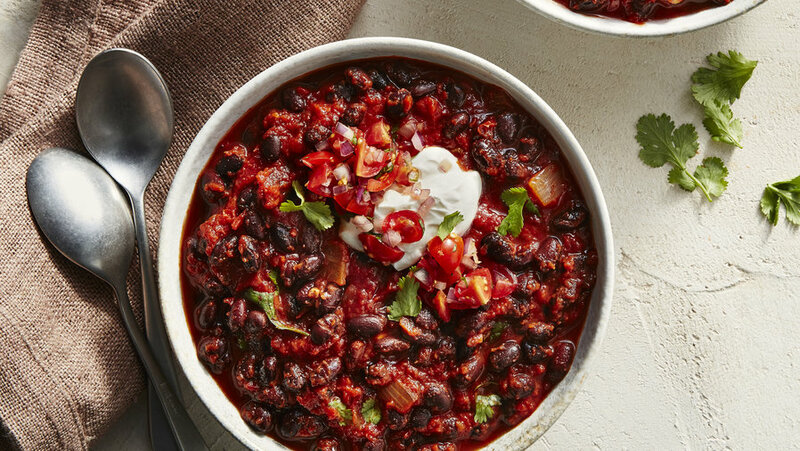 At dinnertime, just toss in a few ingredients for flavor and serve with a loaf of crusty bread for a hearty, easy meal in minutes. 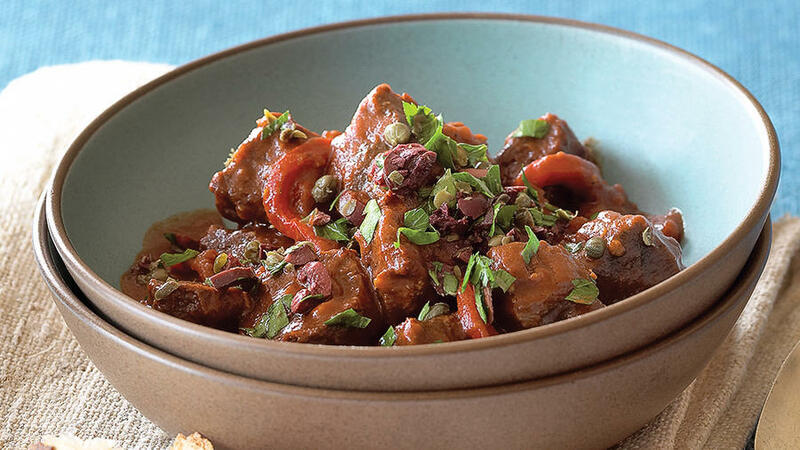 Rich, warm, and spicy, this lamb stew is one of our favorites. 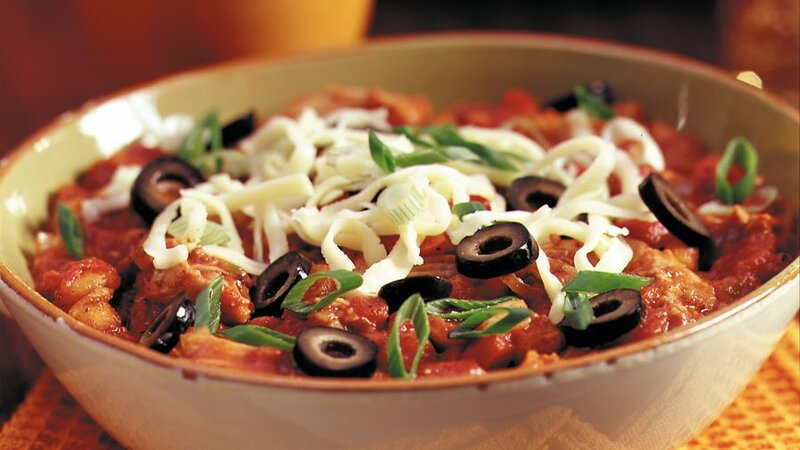 We love to serve it as the main course to a spread of hearty red wines and warm crusty bread. Fish stews with curry are common throughout Southeast Asia. 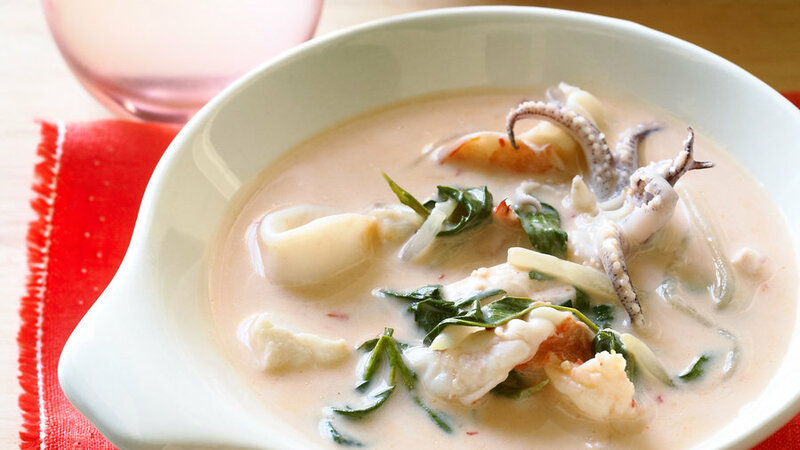 We love the simplicity of this version, which uses red curry. If you’re sensative to heat, feel free to go a bit heavier on the curry. 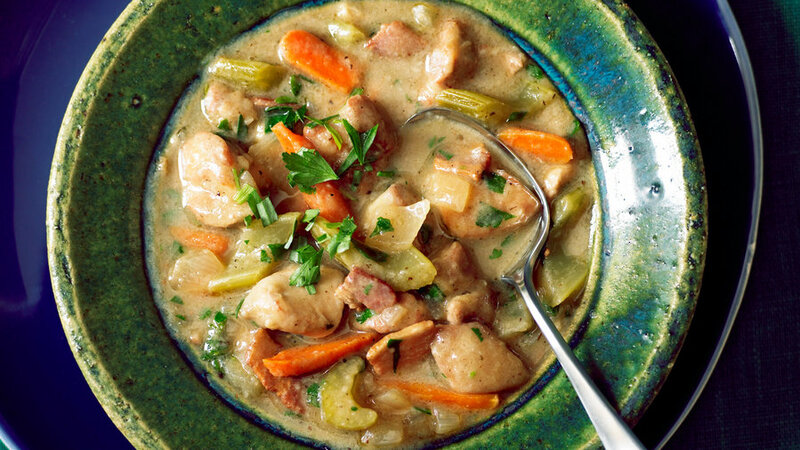 If you’re looking for the kind of stew that Grandma used to make, look no further. 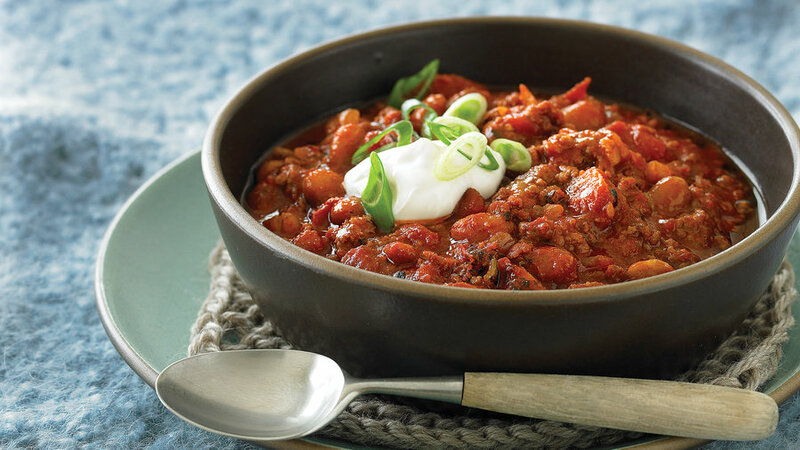 This stew is only made better with the addition of creamy blue cheese sprinkled on top. 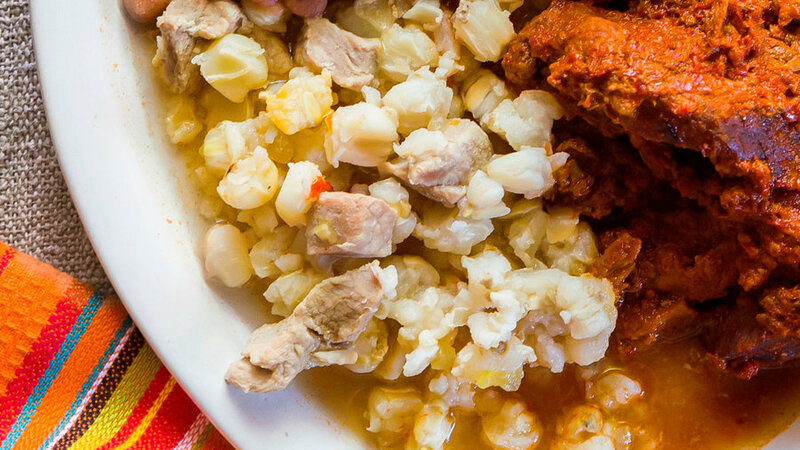 At the Santa Fe restaurant Rancho de Chimayó, carne adovada comes with this regional favorite, made from dried field corn (maize). 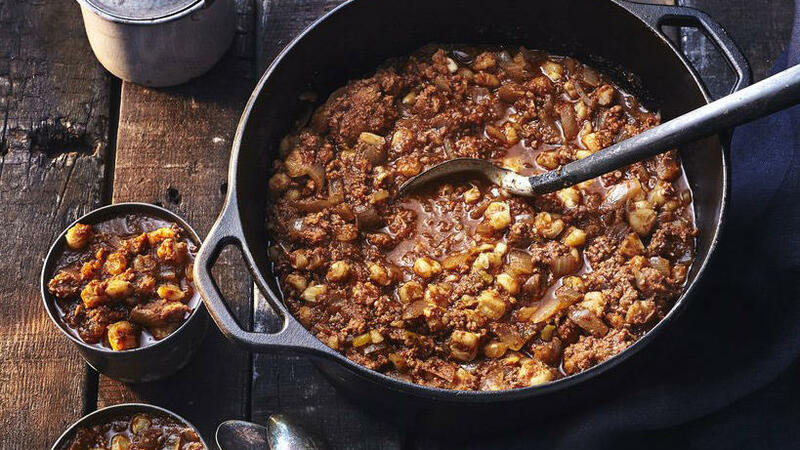 Simmered with seasonings, the corn turns sweet and fragrant. 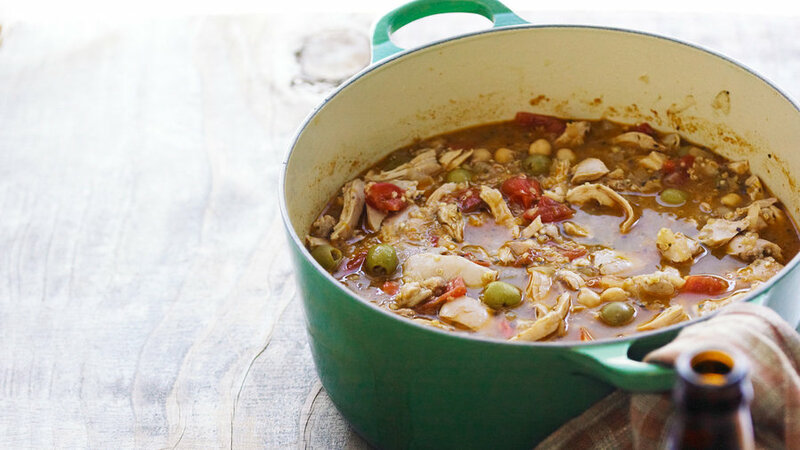 Budget-friendly turkey thighs add loads of flavor without much fat, while sweet hominy and spicy jalapeño round out the taste of this southwest chili.